Quaker & Special Collections collects in a wide variety of subject areas and in many material formats. The examples highlighted here represent important subjects in the collection—and are ordered by relative strength of holdings—but are by no means the only subjects in our collections. Haverford’s world-renowned collection of Quaker materials is centered around the rich Philadelphia-area Quaker community and the long history of Quakerism in the United States. Manuscript materials include the papers of numerous prominent Quaker leaders including Rufus Jones, the Cadbury family, the Cope family, the Evans family, and others. 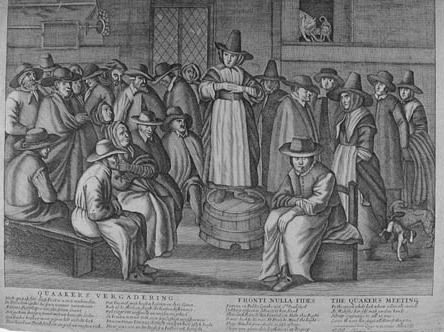 Published materials include a large number of Quaker tracts, many dating to the early days of Quakerism during the English Civil War; materials published by and about Quakers (both scholarly and popular) from its founding to the present; a large collection of Quaker-related broadsides and newspapers; as well as a rich collection of Quaker fiction. Quaker & Special Collections is also the repository for the Philadelphia and Baltimore Yearly Meeting records in conjunction with Friends Historical Library at Swarthmore College. Quaker & Special Collections includes the college archives, which documents the history of Haverford College from its founding in 1833 to the present. Materials include publications by and about the college, such as catalogs, alumni magazines, yearbooks, and the student newspaper; records of campus administrative departments; personal papers of past presidents, faculty, staff, students, and alumni; materials documenting the change and growth of Haverford’s campus and physical plant; student life materials, including records of student clubs, scrapbooks, and diaries; photographs; and more. We continue to add materials to this collection in order to preserve the ongoing history of the college for future users. For more information, researchers may want to consult our research guide for Haverford History or the indexes to the archives (HCV, HCA, HCHC). Quaker & Special Collection’s literary holdings are particularly strong in British and American literature. 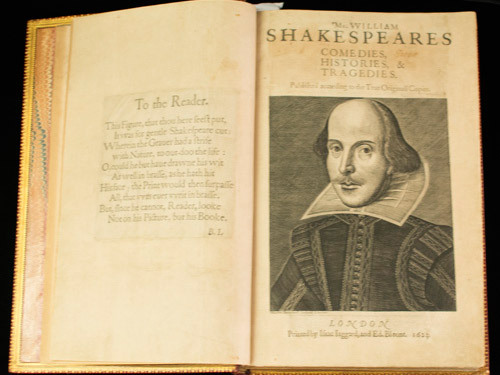 Shakespeare is well represented, with early publications of both individual plays and the first four editions of his collected works (the “four folios”). Later British literature includes strong collections of John Milton, John Ford, John Dryden, Samuel Johnson (including his Dictionary), William Cowper, Charles Dickens, William Makepeace Thackeray, Lewis Carroll, Robert Lewis Stevenson, and John Davidson. Our American literature holdings are particularly strong in the nineteenth century, including authors such as John Greenleaf Whittier, Mark Twain, James Fenimore Cooper, Harriet Beecher Stowe, Henry James, Herman Melville, Nathaniel Hawthorne, Henry Wadsworth Longfellow, Walt Whitman, Bret Harte, and Phillis Wheatley. The literary collections are not limited to English language literatures, however, but also include early editions of Don Quixote (in both English and Spanish), Dante, and Montaigne. The Charles Roberts Autograph Collection includes numerous letters and other documents by novelists, poets, dramatists, and essayists. Quaker & Special Collections’s Native American holdings are particularly strong in three areas: letters, diaries, photographs, and other materials documenting the interactions between Native Americans and whites in the Pennsylvania and New York regions, including the Lenape (also known as the Delaware) Nation and Iroquois Confederacy (particularly the Seneca Nation); records books, letters, and financial documents related to the Central Superintendency, which was responsible for Native American affairs in Kansas, Nebraska, and parts of the Dakotas, Wyoming, and Colorado and which was run by Quakers at the request of President Grant until 1879; and published materials on Native Americans, mainly from the nineteenth century, including important works by George Catlin and McKenney and Hall’s History of the Indian Tribes of North America. 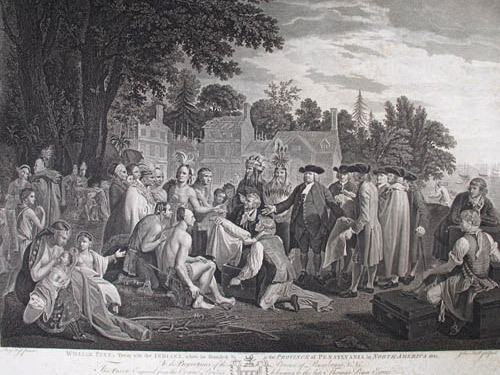 The Philadelphia Yearly Meeting Indian Committee was established in 1795, and its records include minutes, financial papers, account books, correspondence, addresses, reports, journals, scrapbooks, legal, land and legislative related papers, and maps, covering topics including Friends' visits to Native Americans (at Oneida, Genesanguhta, and Stockbridge, among others), the settlement and boarding school at Tunesassa, the Ogden Land Company, the Buffalo Treaty fraud of 1838, and the construction of the Kinzua Dam in the 1960s. For more information, researchers may want to consult our research guide for Native American History. 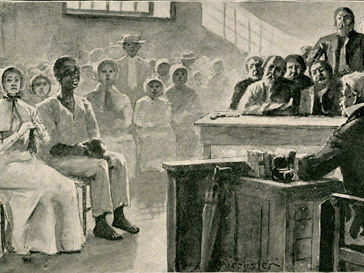 Many of the family papers held in Quaker & Special Collections include correspondence, diaries and journals, and drafts of speeches and articles by people involved with the anti-slavery and abolitionist movements; some also include materials which document travel through slaveholding states and include comments and observations of slavery. We also hold extensive materials related to the Free Produce Movement, in which people tried to purchase food and clothing which had no connection to slave labor. Records for a number of Philadelphia-area organizations such as the Bethany Mission for Colored People and the Emlen Institution for the Benefit of Children of African and Indian Descent provide information on social programs. Published materials of interest include numerous editions, some illustrated, of Uncle Tom’s Cabin; anti-slavery tracts; arguments for and against abolition; and several early editions of Phillis Wheatley’s poems. Our collection of 18th through 20th century newspapers contains over 250 titles, mostly from New England and the Mid-Atlantic states, and many have information on the anti-slavery movement. The photography collection includes a large number of African-American photographers from the nineteenth and twentieth centuries. Researchers interested in slavery and abolition may wish to consult our research guide. 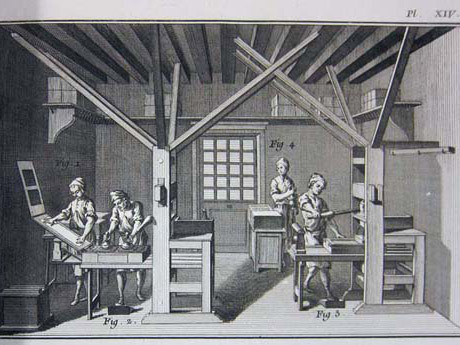 Quaker & Special Collections’s holdings of printed books provide an overview of many aspects of printing history. Manuscript materials include a 13th century Bible from Northern France as well as manuscripts in Arabic, Hebrew, and Latin from both the Middle East and Medieval Europe. Examples of early printing include a page from the Gutenberg Bible, the first book printed with moveable type in the West; several books published by Aldus Manutius, one of the earliest publishers of classical texts; and the first printed edition of Dante’s Divine Comedy (1472). Other holdings show the history and transition of illustration processes (including woodcuts, engravings, etchings, acquatints, wood engravings, lithographs, and various photomechanical processes); the transition from the hand-printing age to the machine age; and the modern use of pre-mechanized printing techniques through fine press books, including examples from the Kelmscott and Roycroft presses, and artist’s books. The holdings on Asian history and culture in Quaker & Special Collections cover most of the continent, often through unpublished diaries and letters of travelers, teachers, and missionaries; photographs and photo albums; and published materials of many kinds. 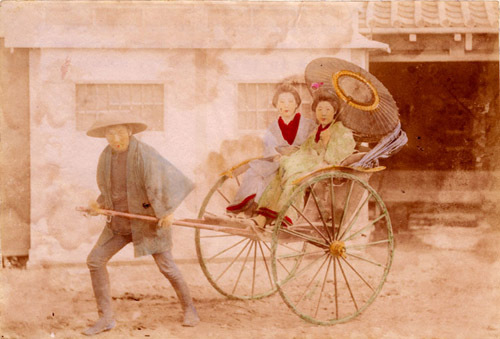 Our holdings related to Japan are particularly strong, and include the papers of teachers in Japan (including Edith Sharpless, Gilbert and Minnie Bowles, and Esther Rhoads); the records of the Japan Committee of the Philadelphia Yearly Meeting of Friends, which began mission work in Japan in the 1880s; and numerous photographs taken in Japan. Our Middle Eastern materials include over 100 lantern slides of Palestine from the 1930s and papers of teachers at schools in Ramallah, Palestine and Brummana, Lebanon (including Kahlil and Eva Totah, Daniel and Emily Oliver, and William Evans), as well as the J. Rendel Harris collection, which consists cheifly of Middle Eastern manuscripts. Other holdings include materials on China, India, Turkey, and the Philippines, among others. Interested researchers may want to consult our research guide for more complete information. 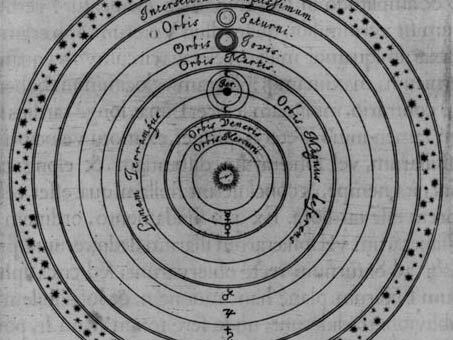 Quaker & Special Collections holds first editions of seminal works in the history of science include Darwin’s On the Origin of Species, Einstein’s Die Grundlage der allgemeinen Relativitätstheorie, Copernicus’s De Revolutionibus Orbium Coelestium, and Newton’s Principia Mathematica, as well as works of natural history such as Audubon's The Quadrupeds of North America. In addition, Quaker & Special Collections holds almanacs, works on natural history, gardening, and farming. 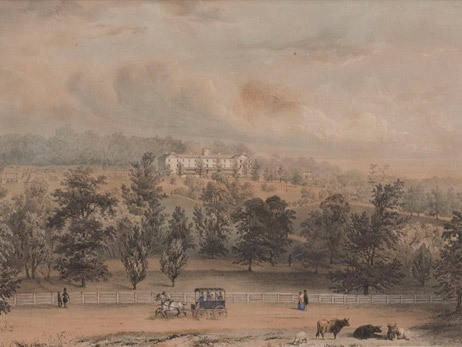 Some manuscript holdings also describe farming in the eighteenth and nineteenth century mid-Atlantic, and Haverford College history materials include much on the history of the arboretum campus. The Charles Roberts Autograph Letters Collection holds numerous letters from important scientists in a variety of fields. For more information, researchers may want to consult our research guide. Quaker & Special Collections includes Haverford College’s art collections, which includes fine art photography, prints, drawings, paintings, sculptures, and artifacts. The photography collection,which includes almost 5,000 fine art images, is one of the strongest college photograph collections in the country and is particularly strong in African-American photographers. There is a strong collection of Greek vases, as well as some examples of African sculpture and masks. 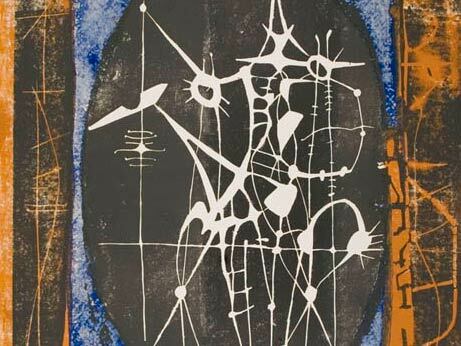 The print collection is strongest in modern artists such as Chagall and Miro. A small portion of our art collection is browsable online. Haverford College’s photography collection includes both fine art photography as well as more everyday snapshots and historical photographs, which are often found as parts of personal and family papers. Together, these document the history of photography and photographic technology, and include daguerreotypes, tintypes, glass plate negatives, lantern slides, carte de visites, albumen prints, silver gelatin prints, color photographs, and more. 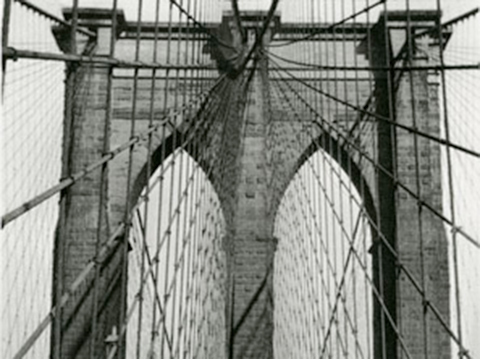 The collection includes significant collections of photographers including Ansel Adams, Charles Currier, Edward Curtis, Walker Evans (including many of his color photographs), Lewis Hine, Sol Mednick, E. Eugene Smith, Jessie Wilcox Smith, Edward Jean Steichen, Paul Strand, and Carl Van Vechten. It is also particularly strong in photographs of and by African-Americans. 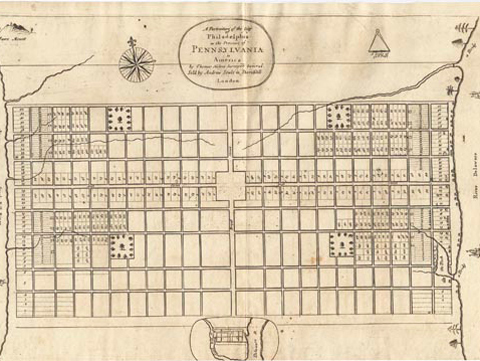 Colonial Mid-Atlantic history holdings are closely tied to the collections of Quaker families held in Quaker & Special Collections and mainly document fairly well-to-do merchant families in the Pennsylvania and New Jersey regions. Materials include correspondence, diaries, journals, commonplace books, legal materials (deeds, wills, and marriage certificates), maps and surveys, and both business and personal financial records. Topics covered include travel, business and commerce, health and family, religion and ministry, missionary work, Native Americans, politics, and philanthropy. 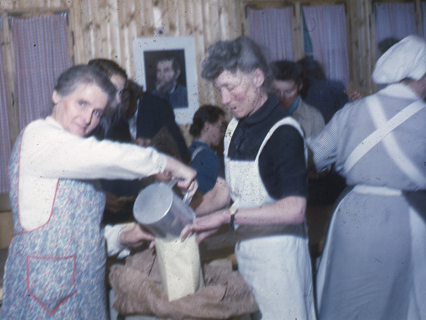 The American Friends Service Committee (AFSC) was heavily involved in relief work in Europe after both World War I and World War II, as well as in Asia following World War II. Their programs included reconstruction work in France and food aid to children in Germany and Poland after World War I, relief and reconstruction work in Germany, Poland, Hungary, and Finland after World War II, efforts to evacuate refugees from Spain during and after the Spanish Civil War, post-World War II relief work in Japan, and relief work in South Africa and Rhodesia in the 1950s and 1960s. Quaker & Special Collections holds the papers of many people who worked with the AFSC on all these projects, as well as some of its leaders and founders. Researchers may wish to consult our research guide for more information.